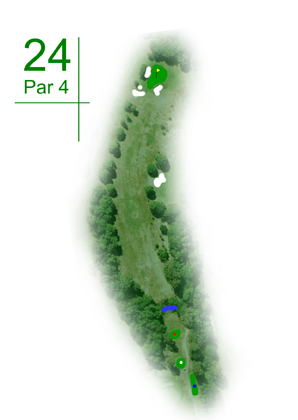 Very difficult par 4 that requires accuracy off the tee and ideally a fade for the right handers as the hole dog legs right. The green is narrow and well bunkered and any shot missing left will leave a very tough chip or bunker shot. Not a hole to attack. The conservative approach works well on this hole.